So many caveats for this one I can’t even begin to list them all. This entire post is based on a rumor from Mac Rumors where they took some “spy shots” of the casings for a new, cheaper iPhone and then paid someone to create a 3D model and then some “spy shots” of that 3D model. So, you have that. I don’t know if this is going to be released by Apple or anything similar, but I’m going to run with it anyway because there are some interesting reasons why Apple would release a second, cheaper iPhone now as compared to the past. I’ll take them one at a time and try to outline why the “Low Cost” iPhone would make sense now as compared to the past. The lineup, as it sits right now, is split between 4-inch and 3.5-inch devices (I include the iPod touch here as well). 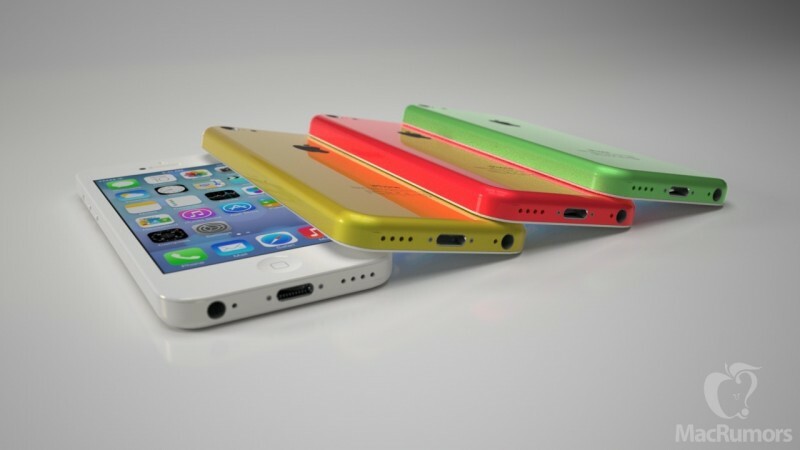 Half of the lineup is 4-inch (iPod touch and iPhone 5) and half is 3.5-inch (iPhone 4 and iPhone 4S). If Apple would keep with its currently “plan” as it has been implemented in the past, you’d end up with a lineup that is three-quarter 4-inch (iPod touch, iPhone 5, and [probably] iPhone 5S) and one-quarter 3.5-inch (iPhone 4S). That really leaves that one iPhone out there on the edges. It also would leave Apple trying to source screens at the 3.5-inch size for a single device. They didn’t even do that when they introduced the 4-inch size between the iPhone 5 and higher-end iPod touch were announced at the same time. So, from a logistics standpoint, maybe it would make more sense for Apple to switch to a lower-cost iPhone with a 4-inch screen so that they would be able to eliminate the need for a smaller screen for a low volume product. See the above but switch out the size of the screen for the type of connector (30-pin and Lightning). I would imagine that this would also harken the end of the iPad 2 sticking around, or maybe a lower-cost iPad 2-ish product with a Lightning connector would be released as well. Apple wants to push ahead with this as quickly as possible, so eliminating the last three products they currently sell new in one move would be nothing but a net gain for the company. Truth be told, the Lightning connector is such a huge win for consumers (forgetting that you need to buy new peripherals) that I could see Apple wanting to push it ahead as quickly as possible. It would also just make the whole lineup look better at the store with everything iPod touch, iPhone, and iPad having a Lightning cable attached. LTE is big business right now as all four of the major carriers in the United States are upgrading their networks with Verizon way out ahead. If Apple continues with the past, you’ll have your lowest-cost iPhone (more than likely the 4S) without LTE, and that could be perceived as a negative. However, releasing a lower-cost iPhone would allow them to offer the entire lineup with LTE from top-to-bottom. That would be good for Apple and good for the brand. My speculation would be that the lower-cost iPhone would include the A6 and not the A5 that would be found in the iPhone 4S. That would give it similar performance to the iPhone 5/iPod touch 5G … which is a bid deal for something like iOS 7 where the GPU performance is going to be key for people to have a good experience. The blurring, the transparency, parallax, physics engine … you name it and it is going to require some horsepower to render at 60 fps (Apple’s stated goal). We already know Apple is shooting for the iPhone 4 with iOS 7 with a subset of those technologies included. While the iPhone 4S’s A5 was a big step up from the iPhone 4’s A4, it would be even better to have the A6 in there. While I don’t know what Apple is going to do (obviously), I could see them releasing this lower-cost iPhone now because of the above reasons. I don’t care about colors, the case would be made of plastic and I would imagine the camera would be similar to what is currently in the iPod touch. Increase the thickness a little bit and I would imagine you can shave around $100 off of the iPhone 5 price (I’m just guessing here, I really have no idea) … and you hit your lower price point without losing any margin. The best part? I wouldn’t hesitate to recommend such a phone to my family. It would “hit all of the high points” for me and also be the cheaper option. Offering LTE, an A6, 4-inch screen, and Lightning would make it a must-have phone while I would tell anyone to seriously consider an iPhone 5 otherwise. So, there is my speculation. I now feel dirty. I don’t understand the need for a cheaper iPhone when they already sell two older generations of the iPhone at reduced prices. That’s the idea … they wouldn’t sell the iPhone 4S at the reduced price come Fall 2013. That is how they would homogenize the lineup around current technologies (get rid of 30-pin from the entire lineup).